A Game Server allows gamers to host their game sessions on a dedicated server, specifically designed to cater for gamers. Features usually included in a Game Server package are a clan pay-and-play service, low ping, servers in many geographical locations and fast support. 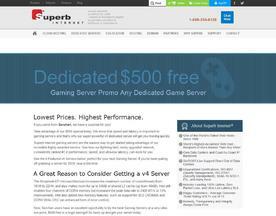 If you’re looking for an online service similar to a Game Server, consider our Dedicated Server or Cheap Dedicated Server categories.